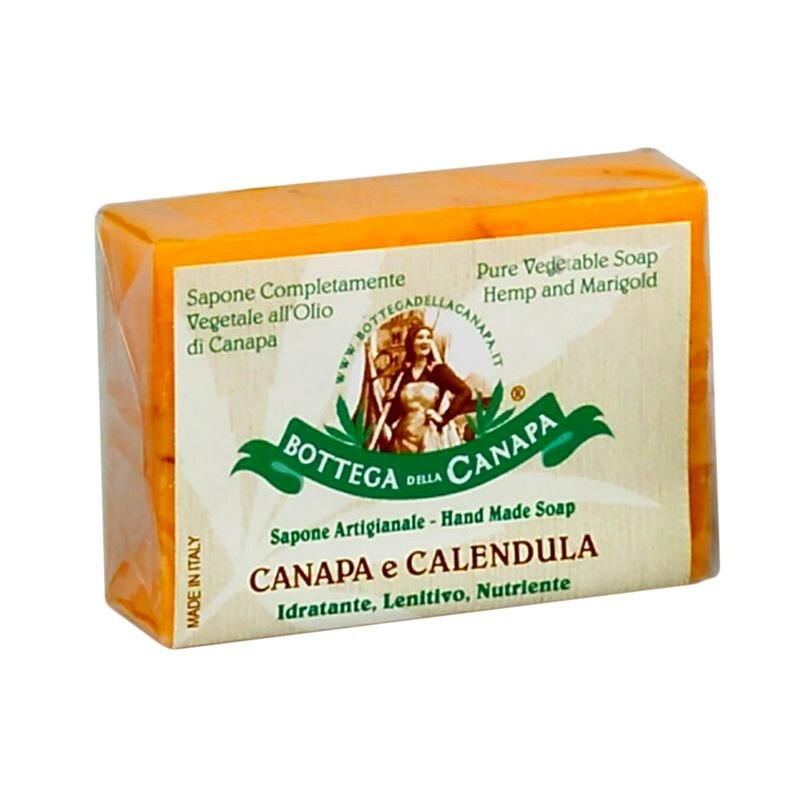 100% vegetable soap with organic hemp oil and calendula. 100g pack. Moisturizing, soothing, nourishing. Made in Italy. 100% vegetable soap with organic hemp oil and calendula. Moisturizing, soothing, nourishing. For dry and delicate skin. Active ingredients extracted from herbs of organic cultivation.It does not contain allergens. sodium cocoate, potassium cocoate, aqua, glycerin, parfum, cannabis sativa seed oil, calendula officinalis, C.I. 19140, C.I. 151,985.